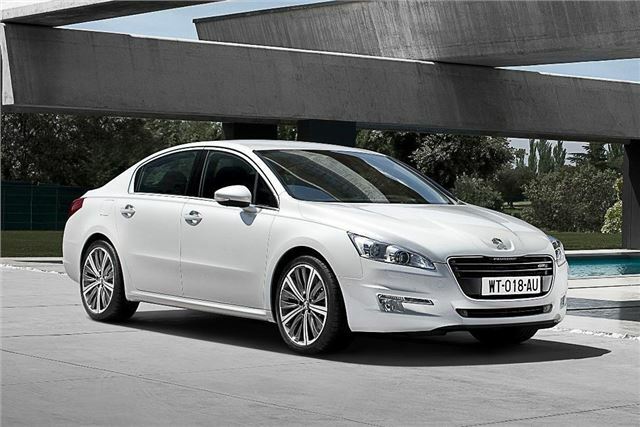 Peugeot has revealed prices and equipment details for the new 508 range which will arrive in the UK in April 2011. The five-model line-up will be available as a saloon and an SW estate from launch with the entry-level model - the 508 Access VTi 120 prices at £18,150. The new Peugeot 508 range will be available in five trim levels - Access, SR, Active, Allure and GT with seven engine options at launch. The HDi 112 diesel engine is available in two versions, with either a five-speed manual gearbox or Peugeot's e-HDi Stop & Start System with a six-speed electronically controlled manual gearbox (EGC). The e-HDi Stop & Start System technology reduces claimed fuel consumption by up to 15% in urban driving and with the EGC gearbox produces just 109g/km of CO2 in the saloon and 110g/km in the SW version. The Peugeot 508 is also available with two different front suspension configurations. An all-new pseudo McPherson type front suspension will be the main option on the majority of the 508 range. As well as improved driveability this new set-up reduces weight, as it is 12kg lighter than the design featured on the Peugeot 407. The Peugeot 508 GT features a drop link double wishbone front suspension which helps separate suspension and steering forces to improve road holding and steering accuracy.